There's something special about spending a day at the ballpark. 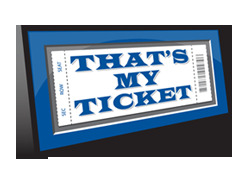 And all the things that will help you capture the memory of being there, including the photos and the tickets, deserve a special place. 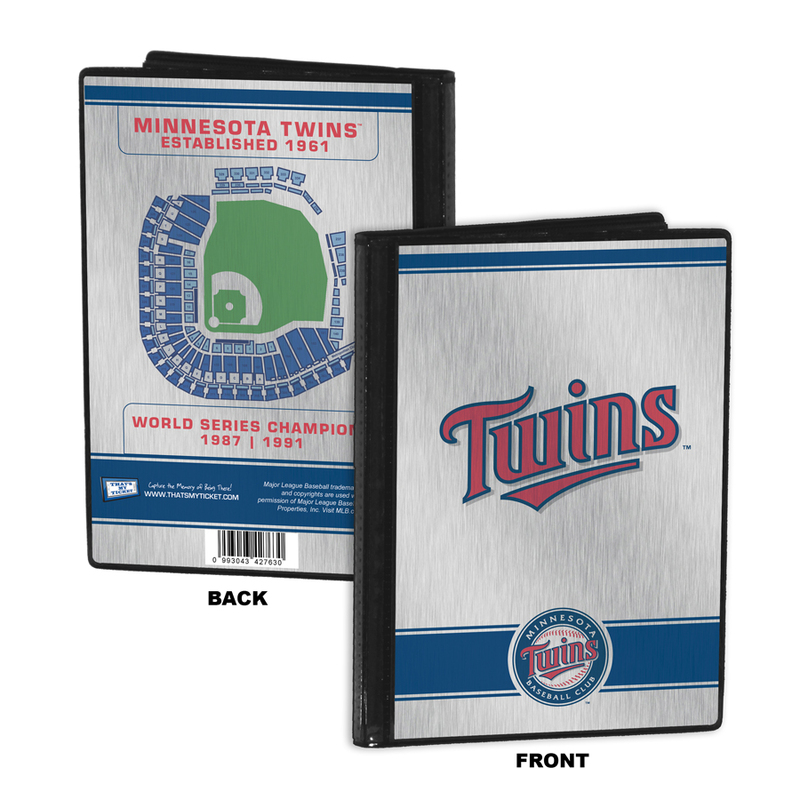 This 8x8 Scrapbook Photo Album is just the thing to preserve those Ballpark Memories. 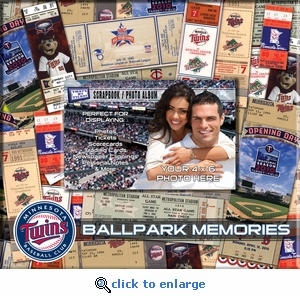 Design features images of authentic historic game tickets. Includes 10 sheets/20 pages measuring 8x8. Additional pages can be added. Personalize with your own photo on the front cover. Overall size: 8.75 x 9.75 x 1.25.